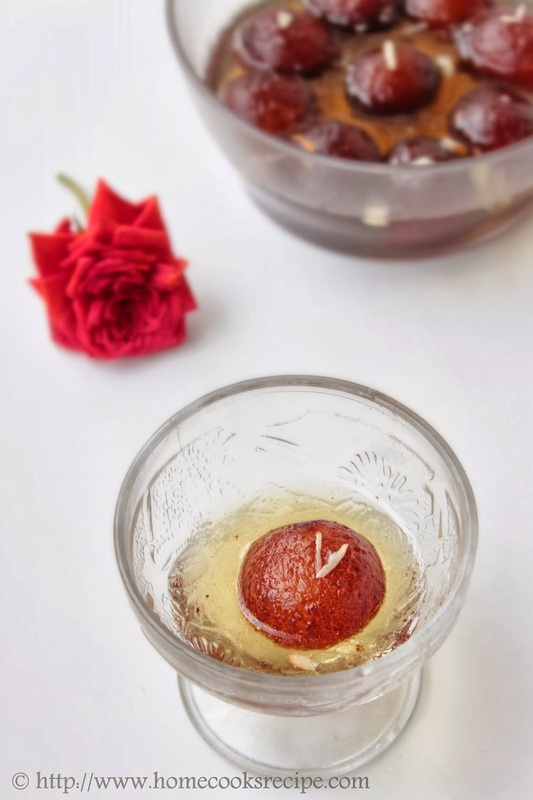 When you mix the khoya and maida together, your gulab jamun mix gets ready! so why not you try next time? My son got overjoyed on seeing the bowl of jamuns, when he returned from school, he also helped me in clicking pictures! 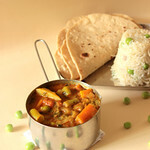 Preparation time - less than 20 minutes. 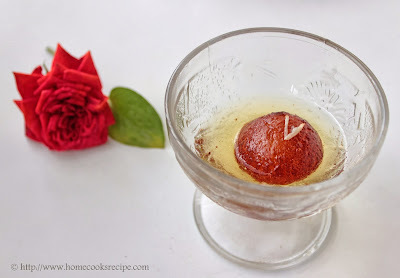 check out how i made khoya a day before preparing jamuns. Sieve the Maida and baking soda together twice and transfer it to a wide bowl. 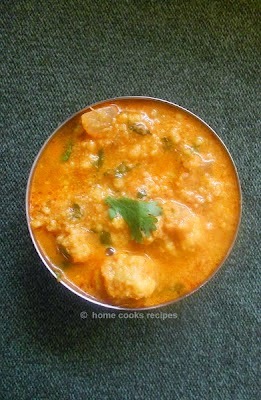 check how i made khoya with 1 and half litres milk. you will get khoya to make more than 40 - 50 gulab jamuns with it. 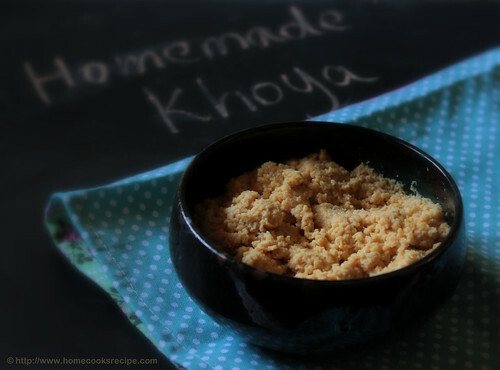 Mix the khoya little by little to the flour by hand, first it will look like bread crumbs and then you will feel like making chapathi dough, sprinkle a tsp of water and combine all together and form a smooth dough. add a tsp of oil to make the dough smooth and non-sticky to your hands. Pinch a small piece of dough and shape them into a small lemon sized one. make sure, you do not apply pressure while rolling with your hands. also avoid big cracks in the ball by rolling till its a smooth ball. When the dough is getting ready, heat oil in one pan and prepare sugar syrup in another pan. To make sugar syrup, take 200 gms of sugar in a pan and add a cup of water about 200 ml. stir to dissolve the sugar. switch off the flame when the sugar syrup reaches half a string consistency. add crushed cardamom and saffron strands to the syrup and give a stir. When the oil gets hot, low the flame for about 2 minutes and then start dropping the jamun ball's to the oil. slowly give a stir and wait till the balls reach golden color. it takes about a minute in low flame. 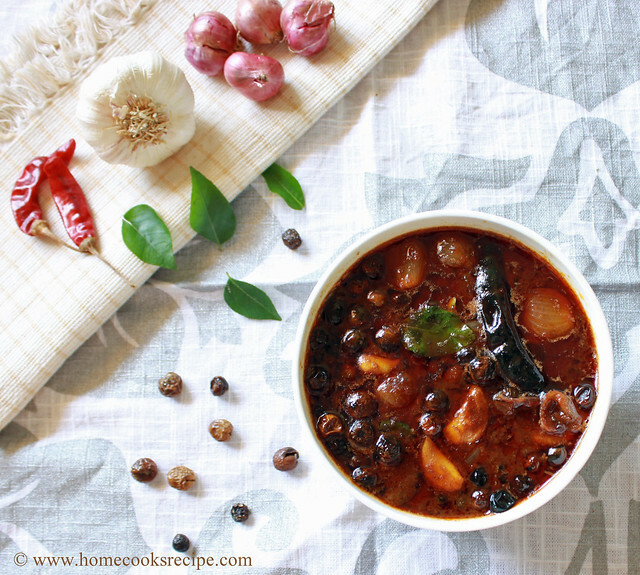 make sure you cook jamuns in low flame. Once the jamuns are fried till they turn golden color, remove the balls and add to the hot sugar syrup. 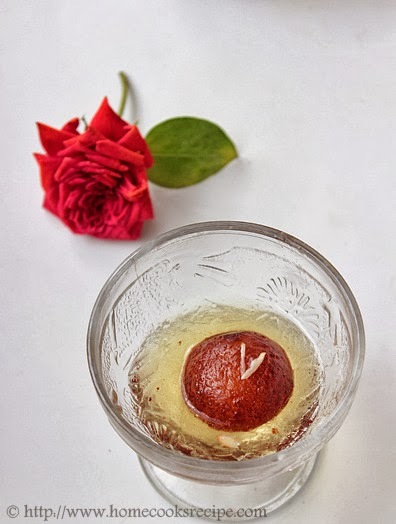 pour a ladle of syrup over the jamun and thus giving hot sugar syrup bath, it will turn soft, sweet and fluffy. 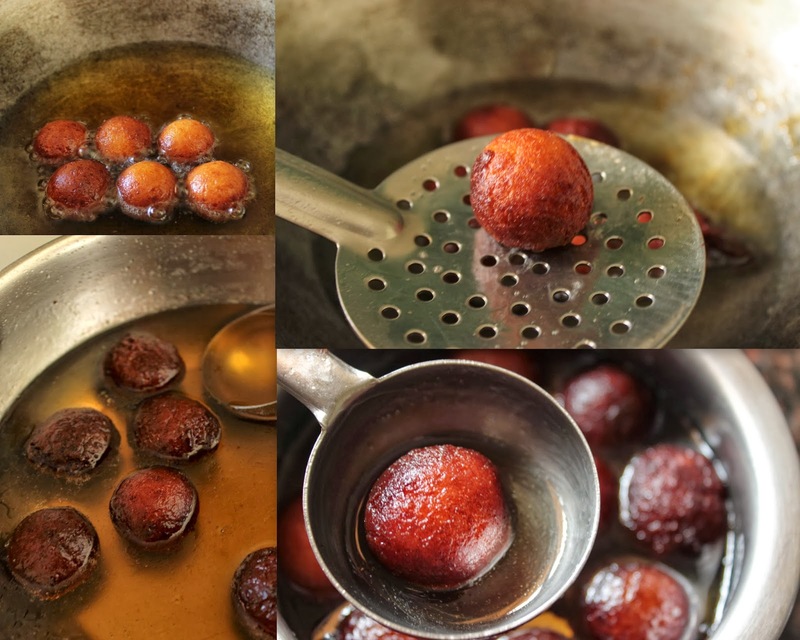 This way remove all the jamun to the sugar syrup and let the jamun rest in sugar syrup for about 15 minutes before you start to serve hot. If the oil is too hot, jamun's break in oil. 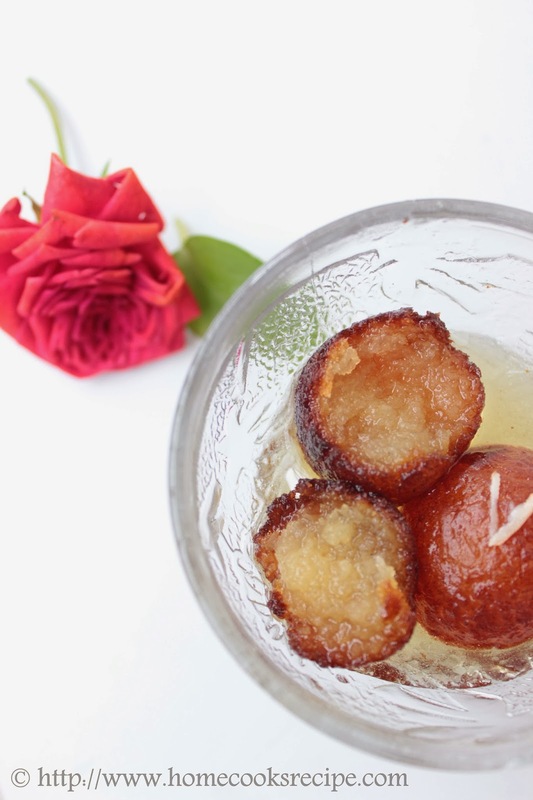 also use sufficient oil to fry so that the jamun balls immerse in oil while getting fried. 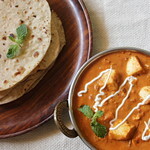 If buying khoya from store, grate the khoya and start mixing with the flour, so that no khoya lumps are formed. Jamuns looks absolutely divine, wish i get a bowl. Thank you Priya akka! Wish i too pass the bowl to u all the way! making me drool here!!! wow!!!! such a nice jamun!! Thank you Lavi for trying it out. They have turned out perfect and better than what I make. Good clicks as well!